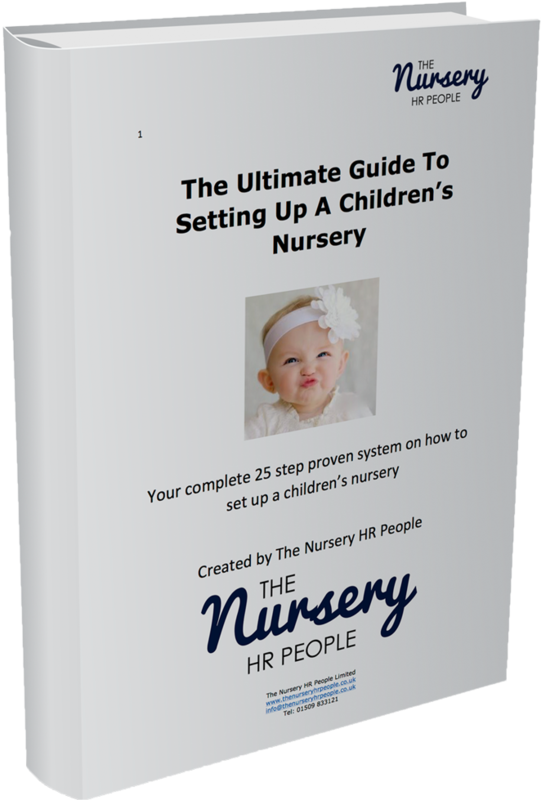 This simple and easy-to-read guide will take you through the journey of what is involved when you embark on setting up a children's nursery or childcare setting. We are so sure you’ll be happy with your purchase of the ‘Ultimate Guide To Setting Up A Children’s Nursery’, that we offer a “30-Day Money-Back Guarantee” to ensure customer satisfaction. If for any reason you are not satisfied with this product, we will promptly issue a refund. Simply contact us at sales@thenurseryhrpeople.co.uk to speak to a customer care specialist about our 30-Day Money-Back Guarantee. Instant access to all the information in one place you need for setting up a childcare provision. This guide has taken a huge amount of leg work out for anyone looking to set up their own childcare setting. I love the fact there is a checklist included which helps keep you on track with your project. This is a must have for anyone who is serious about setting up a children’s nursery . There are so many useful tips and articles in this guide. It makes things much easier as you are signposted to the right place. This guide is both user friendly and practical. It takes you through a logical step by step process to help guide you through the many requirements of setting up a children’s nursery.